INDIANAPOLIS (AP) — A federal judge has blocked an Indiana mandate forcing women to undergo an ultrasound at least 18 hours before having an abortion, ruling that the requirement is likely unconstitutional and creates “clearly undue” burdens on women, particularly low-income women. U.S. District Judge Tanya Walton Pratt’s ruling, issued late Friday, grants a preliminary injunction temporarily blocking the ultrasound waiting period. Planned Parenthood of Indiana and Kentucky and the American Civil Liberties Union of Indiana had sued the state last July, contending the mandate was unconstitutional and would prevent some women from getting abortions. Pratt’s ruling said the waiting period “creates significant financial and other burdens” on Planned Parenthood and its patients, particularly low-income women who face lengthy travel to one of only six Planned Parenthood health centers that can offer an informed-consent ultrasound appointment. The judge, who heard arguments in the case in November, found that Indiana had presented “no compelling evidence” to support its contention that the mandate would further its stated interest of convincing women not to have an abortion. A study of 15,000 women served by Planned Parenthood in Los Angeles is cited in Pratt’s ruling. It found that 99 percent of women proceeded with an abortion after not viewing the ultrasound, compared with 98.4 percent who did view the ultrasound. The requirement that women undergo ultrasounds at least 18 hours before having an abortion had replaced a previous Indiana provision that required women to get an ultrasound before having an abortion but did not specify when that had to occur. Planned Parenthood said in its lawsuit that under the state’s earlier measure the group performed ultrasounds on women immediately prior to their abortions. Betty Cockrum, the CEO and president of Planned Parenthood of Indiana and Kentucky, praised Pratt’s decision, calling it “an incredibly strong ruling” that protects Indiana women’s right to an abortion from needless burdens. “I would prefer that the Legislature figure out that it’s not their job to practice medicine, and that we would in fact get politicians out of our doctors’ offices,” she said. The ultrasound mandate is part of a wide-ranging abortion restrictions law that took effect July 1, 2016, a day after Pratt blocked the law’s provision that would have banned abortions sought because of a fetus’ genetic abnormalities, such as Down syndrome. 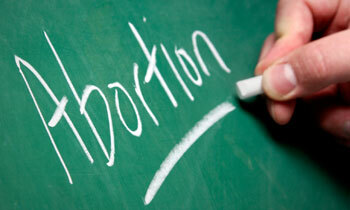 The judge also blocked a provision requiring that aborted fetuses be buried or cremated. Then-Indiana Gov. Mike Pence, who is now vice president, signed the legislation into law in March 2016. Ken Falk, the legal director of the ACLU of Indiana, said only about 25 percent of Indiana women seeking abortions actually agree to see the fetal ultrasound, or hear the fetal heartbeat if it’s present. The remainder signed a form saying they have declined to see that information, he said. Falk said Indiana has 30 days to appeal the ruling. Indiana Attorney General Curtis Hill released a statement saying his office was considering its next steps in the case. Well, if they required mandatory ultrasounds for men who wanted a Viagra prescription, I think the Indiana legislature might come to its senses…. Another example of missing common sense. But that’s what happens when killers’ helpers become President — they fill the legislature with other killers’ helpers. At least Trump won’t do that. And it’s a big thing, as you can see by the howl Planned Parenthood and its ilk are still raising. Well as long as Mrs. Trump can get her Ob/gyn services and her next abortion, she and the other GOP women will remain steadfast against Planned Parenthood.